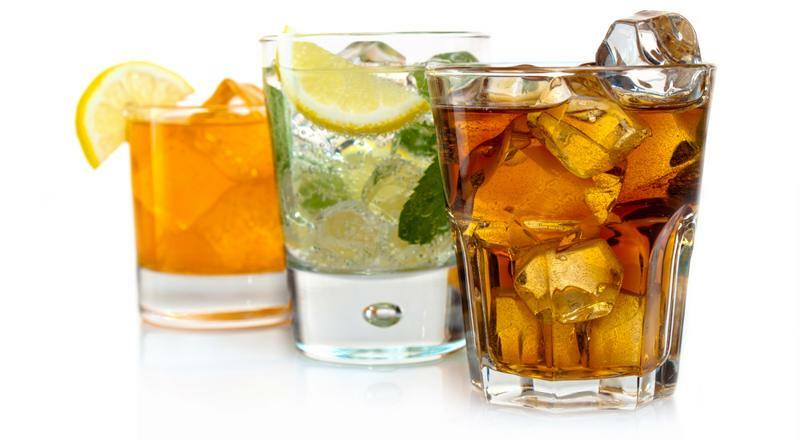 At the next party you throw, make your guests some of the most popular classic drinks of all time. However, rather than serving these cocktails warm, put a modern twist on them by blending them into frozen concoctions. Follow these six recipes for making your own ice cold classics. Fill up your frozen concoction maker's ice reservoir and combine these ingredients in your machine's blender jar. Pour into an old fashioned glass and garnish with a maraschino cherry, an orange wedge and a lemon wedge. "Follow these six recipes for making your own ice cold classics." Make sure you have plenty of ice, pour in your ingredients then just flip the switch and blend up your drink. It's a very old recipe, but it still gets the job done. Enjoy in a tall glass. Some variations include egg white or plum-flavored alcohol as well. Typically a Manhattan is served straight, without ice in a martini glass. However, since you're freezing it, consider mixing the traditional garnish - cherries - directly in with the rest of the drink. Just pour the whiskey, vermouth, bitters and cherries all into the margarita machine and blend it together. Blend your favorite classic cocktails into frozen treats. 1.5 ounces fresh-squeezed lime juice. Fill up your ice compartment and let your machine do the rest. Serve in a tall glass with lime and cherry garnishes. Just load up the ice hopper and mix your cocktail to size. Pour into your favorite glass and enjoy!